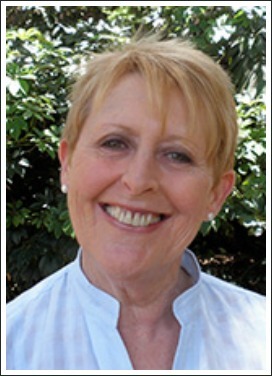 Reading Magic is a fantastic book written by Mem Fox, an Australian children’s author and literacy expert. 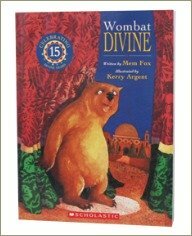 The book was first published in 2001 when my boys were six and my daughter was three so I hadn't read it in the years when their dad and I were reading aloud to them. When I did read it, it was like a light-bulb had gone on in my head: so that's why learning how to read was so easy for them! So what's Reading Magic about? I think the title pretty much says it all really. 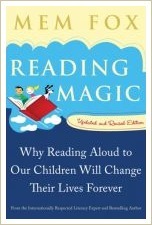 The book's full title is: Reading Magic: Why Reading Aloud to Our Children Will Change their Lives Forever and there's no doubt that reading aloud to children does change their lives. Reading aloud gives children the gift of language and of literacy and of stories. It inspires their imaginations and ensures they fall in love with stories, creating a life-long love of books and the learning and comfort they bring to our lives. It's the gift that makes learning to read a joy, instead of a chore and it creates a rock-solid bond between child and adult as they snuggle up together to read. And it creates priceless memories that the child will remember all his life. 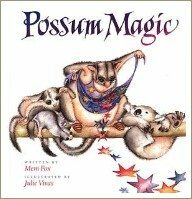 In a nutshell, Reading Magic tells you everything you need to know about reading aloud: why it's important, how to do it, when to start and which books to read. 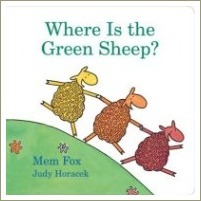 There's lots written about this all over the internet these days but Mem's book is easy to read and contains really all you need to know to begin reading aloud to your baby or little one. I read a lot of books and I read a lot of books about reading and about literacy issues and Reading Magic is quite simply one of the most amazing books I’ve ever read. It’s fairly short, not expensive to buy and makes a great gift for expectant or new parents. In fact, I include a copy whenever I give a new-baby gift to a family. There aren't many books I say this about but I really feel that Reading Magic is a book which should be on every parent’s list to read, either before their first child is born or shortly afterwards. In Reading Magic Mem draws on her experience as a teacher, mother and literacy educator to explain why reading aloud to babies and small children is so important. She also explains, with lots of practical detail, how to do it and how it builds the foundations in children’s brains which can help them learn to read with little or no formal teaching. 11. What Happens When the Three Secrets of Reading Come Together? Chapter Six - And Do It Like This - is a great chapter for anyone who is a bit stumped as to how exactly you read to a child. The beauty of Reading Magic is that it’s so enjoyable to read. It’s quite short – just 145 pages – and is written in straightforward, non-academic language. It’s full of personal stories about Mem’s experiences with her daughter and with other children she’s met over the years. In fact, reading this book feels a bit like you’re having a friendly chat with the author. If I had Bill Gates’ fortune, I’d buy thousands of copies of this book to give to all the expectant parents in Australia. Or maybe I’d give copies to all the maternity hospitals in Australia for new mums to read! Sadly, I don’t have that sort of money but never fear – most libraries in Australia will have a copy of the book. It’s also quite inexpensive to buy, if you’d like to have your own copy to refer back to. Try the Book Depository, which offers free postage anywhere in the world. You can read about how Mem came to write Reading Magic here.